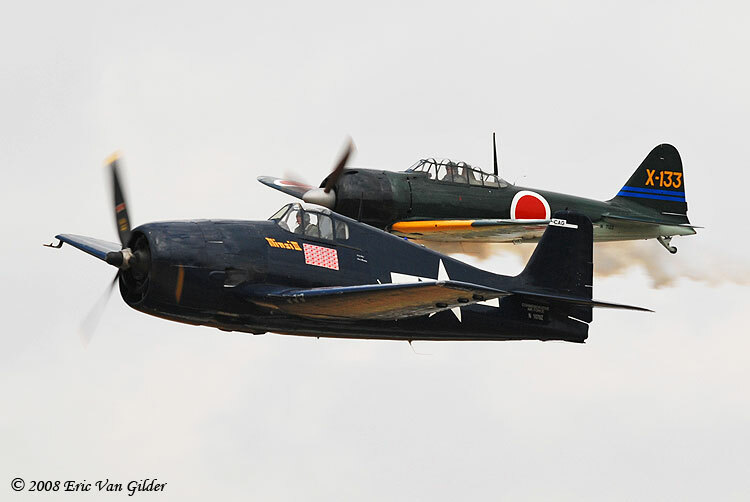 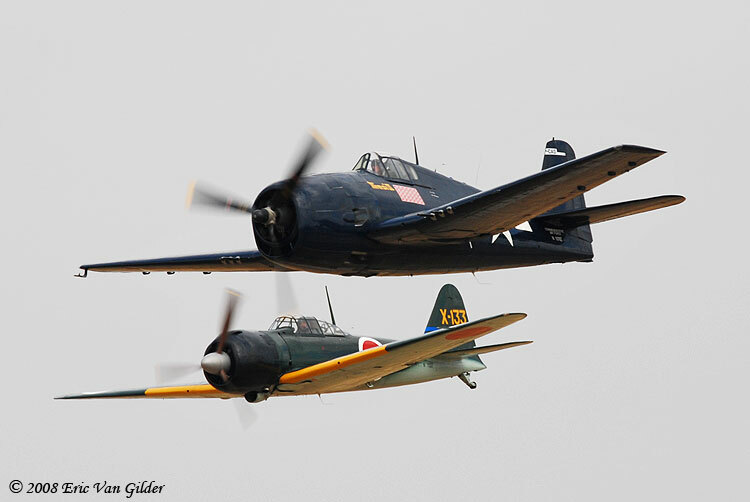 The F6F Hellcat and Mitsubishi Zero pictured here are part of the Southern California Wing of the Commemorative Air Force. 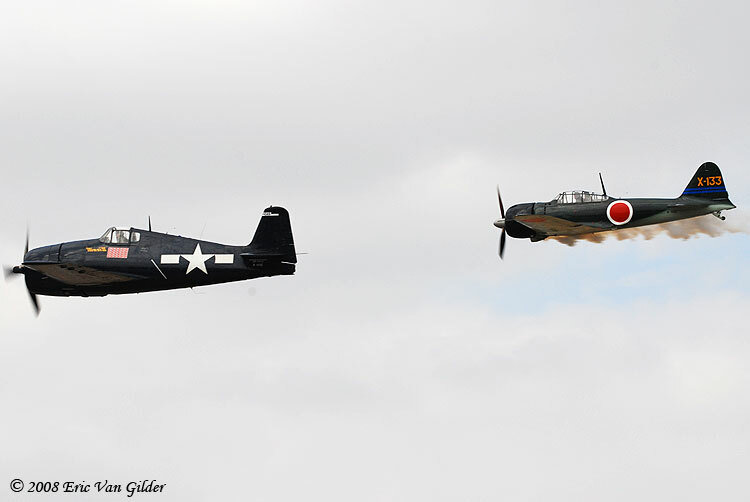 This is also the wing where I volunteer. 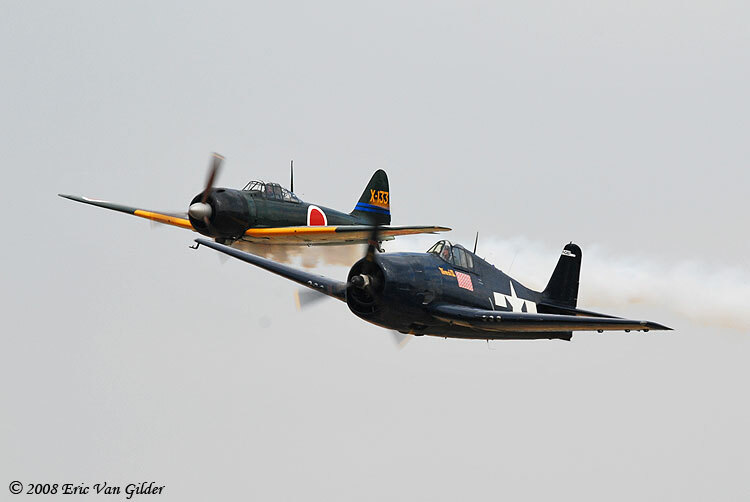 The Zero is flown by Jason Somes and the Hellcat is flown by Chris Rushing. 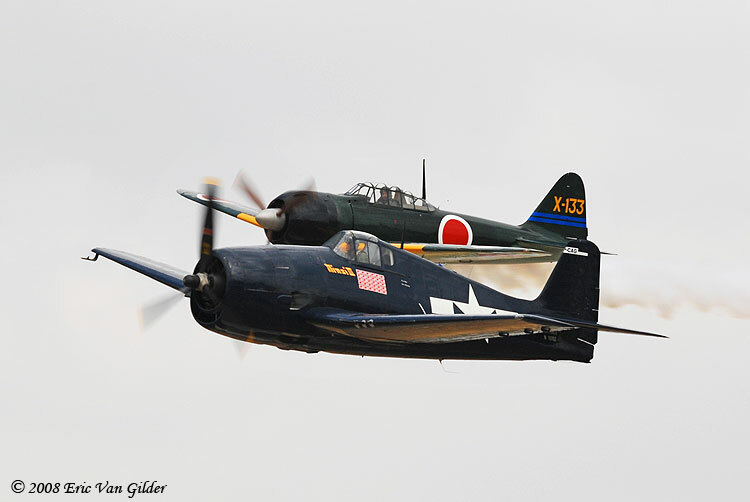 Both guys are excellent pilots and give a great demonstration of the capabilities of these historic aircraft.